When I reviewed the Surface Book, there were a lot of bugs with the software. Some of them have been pretty minor, and Microsoft has been updating the firmware and drivers on it since before it was launched. Most of the issues have been sorted out, but there was still one issue which seemed to be elusive to the teams at Intel and Microsoft. The Surface Book would not always sleep, or, I should say, when it went to sleep it would actually use much more energy than when it was being used. 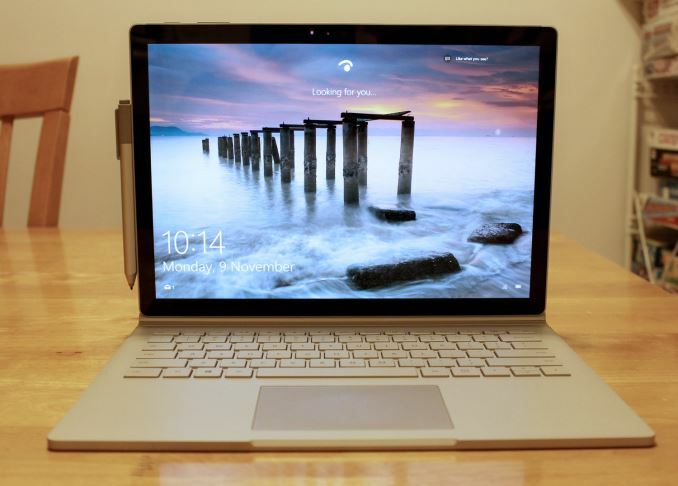 Often times I would close the lid on the Surface Book and after a minute or two I’d hear the fans kick in, and the device would get very hot to the touch. This was an even bigger issue if you closed it and put it in a bag, since the bag would just trap all that heat. This bug was so severe that I could not recommend the Surface Book at the time of the review. Apparently this bug can also strike the Surface Pro 4, but the two review units that I had never suffered from the same sleep bug issue as the Surface Book. Today there is good news, or at least the chance of good news. Microsoft has released a firmware update which directly tackles the sleep issue. Normally firmware updates get released with little fanfare, but head of Microsoft’s hardware division, Panos Panay, has written a blog post letting everyone know that there is a firmware update. It’s not too often that the head of a division steps up and writes release notes, so clearly he felt that this issue was a big enough one to make a statement, and to be clear it is that big of an issue. Whether or not this fixes the issue will remain to be seen, but I’m updating the Surface Book at the moment and will report back in time, but hopefully this solves it. As I said in the review, the Surface Book is solid hardware that was let down by software, and assuming this update does fix the major issue with the latest Surface models, it will be much easier to recommend it to others. If anyone owns the Surface Book or Surface Pro 4, I would highly recommend installing this. According to Microsoft the update is being rolled out right now, so if you don't see it in your region just check back soon. Typical MS, always got held back by their software. It's not like I have no experience with MS, they make good hardware, I like them but dang their software always have messy start or just a mess till its death (OSes). Cutting edge? SB, yeah, but SP4? Easy there cowboy. The problem isn't "software", the problem isn't Windows, it was firmware and drivers. It's evident just looking at the release notes. Sorry to interupt your very brilliant thinking. Lol, I'm sure you didn't mean firmware and drivers when you claimed that "Microsoft's software was messy". You specifically talked about the OS. Did you read his original post? "Typical MS, always got held back by their software." @Spunjji: "Did you read his original post? "Typical MS, always got held back by their software." Thanks for the clarification attempt, but when you read lots of comments on the internet, you know when someone is just trying to undermine a platform as a whole. Some people go completely dramatic without contributing anything to solve/diagnose said problems. The problems associated with Surface Book/Pro4 aren't exclusive to these devices. Internet forums are flooded with user complaints for various PCs that Microsoft clearly don't design nor support. These are driver issues mostly from Intel graphics and chipsets, WiFi modules, audio and biometrics. These issues are understandable since Windows 10 comes with a new driver stack. I own a Haswell HP Probook and I'm also facing the same sleep and display driver issues, and the occasional failing WiFi. Display driver issues are much more frequent when my PC resumes from sleep. I've disabled sleep and will wait for stable drivers.